Stats have long been an important feature for the Flickr community. 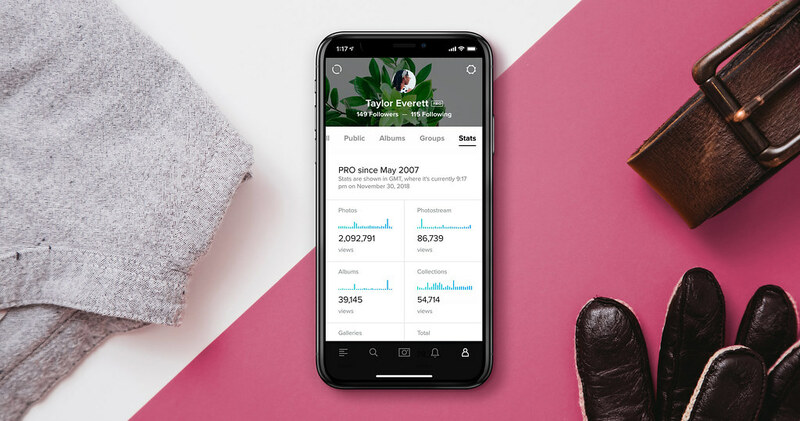 Going beyond the social aspect of photo sharing with mere faves and comments, Flickr stats provide valuable insight about your photos’ performance, views, and popularity. Whether you use stats to understand which of your photos are well-received to improve your photography or you just enjoy getting feedback in data form about your favorite shots, Flickr stats are crucial. That’s why we’re happy to announce that we’re bringing advanced stats for our Flickr Pros to our mobile apps. Now no matter where you are or what you’re doing, you can grab a quick peek into the performance of your photos right from your mobile device. To find your stats in the mobile app, tap the “person” icon and scroll right across the navigation until you see that “Stats” heading. We’ll be rolling this feature out over the next few days, so be sure to update to the latest version of the Flickr app. Stats are limited only to Flickr Pros. If you’re ready to see how your photos stack up, you can upgrade to Flickr Pro for stats, unlimited storage, new 5K display resolution, partner discounts, and more. And if you hurry you can get 15% off your first year. Just upgrade by January 1, 2019. Learn more here.